château = Viinitila tai -talo. cuvée = Ranskalainen termi, lukuisia merkityksiä. Useimmiten tietty erikoissekoitus tai erä. The Carl Wine company, part of the Carl Wine Group founded in 1973, is 100% independent and a family owned. During its more than 35 years of existence the company has developed from a one-man company to a business group with wine production in Bordeaux and Romania. CARL WINE International was founded in 1989 and received negociant status at the very beginning. Our offices are located at Château de Seguin just outside Bordeaux, and we market and sell the wines from Château de Seguin around the world along with a broad range of classified growths - all from the Bordeaux region. If wine enthusiasts were asked to mention their capitol, it would be Bordeaux. The region has produced more highly estimated wines than any other wine region in the world, and they still do it. There are probably numerous reasons for the success of Bordeaux, but one of them could be its closeness to the Atlantic Ocean and the UK market. Another interesting factor is the 1855-classification, which has made it easy for the consumers around the world to position the best wines of the region. The Bordeaux region is the largest producer of quality wines in the world. The city is located at the Garonne River which leads to the Gironde River, by which you will be taken to the the Atlantic Ocean. Bordeaux is famous for its red wines produced at historical estates in the various appellations. The region presents an impressive and interesting history, and it is a complex and challenging region for all wine lovers. The wine production of Bordeaux is divided into two parts; the right and the left bank. The Right Bank includes the two well-known appellations of Saint-Emilion and Pomerol, and here the wines are produced mainly on the Merlot grape. On the left bank you find the Médoc peninsula with famous appellations such as Margaux, Saint-Julien, Pauillac, Saint-Estèphe etc. Here the dominant grape variety is Cabernet Sauvignon. Other renowned appelations are the white wine districts Graves with Pessac-Léognan and the world’s best region for production of sweet wines, Sauternes. All the districts we have mentioned are the ones, which are always mentionen when you talk about Bordeaux. But in fact, they do not produce the largest volumes. 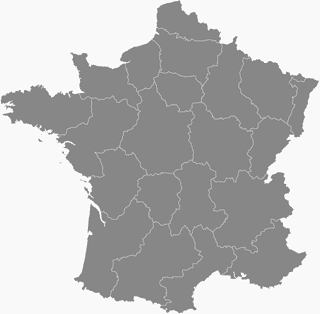 The regions of Entre-Deux-Mers and Les Côtes with smaller, yet very reliable appellation, offers large volumes of wine - and it is value-for-money wines. These wines are called Bordeaux AC and Bordeaux Supérieur. This was just a very brief description of the Bordeaux region - come and see for yourself.